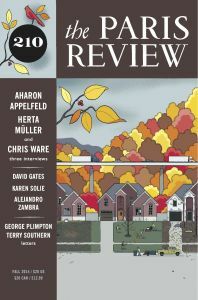 While the winter issue of The Paris Review is likely making its way into mailboxes and bookstores, I’ve finally finished reading an interview that critic Jeet Heer conducted with comics writer and artist Chris Ware for the previous issue. An excerpt is available online, but I would encourage anyone who has the slightest interest in Ware’s work / the kind of storytelling he does / comics in general to have a look at the print edition. It is laid-out really well, with carefully curated visuals from Ware’s recent Building Stories and loads more in support of what’s a really deep conversation about the creator’s influences, life experiences, and more. 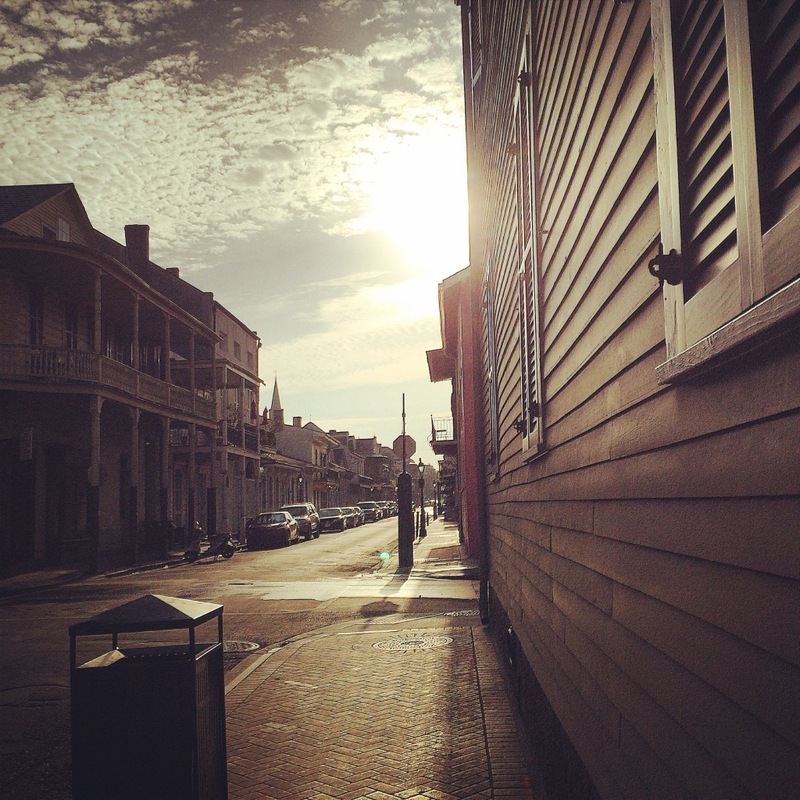 A few days ago, we returned to NYC following a visit to New Orleans, Louisiana for the second time in two years. We spent part of our last night in town on St. Peter downtown — at Preservation Hall, a building that dates back to 1750 but is now a venue and non-profit organization that has been hosting live jazz for more than 50 years. I love old jazz, and while I can say that I wrote about rock and electronic records for a number of alt weeklies and magazines for years, I don’t really have the grasp on musical language required to discuss jazz in the informed way that I’d like to, so I can only share my personal experience here. After warming ourselves with a couple of quick drinks while we waited in a line that hugged the facade of the Hall last week, my longtime girlfriend and I filed inside for a 10PM performance by the Preservation Hall Jazz Band, a rotating group of musicians that tours and plays nightly to a packed house in the French Quarter-based building. The set was a mostly jubilant affair, with the band — a trumpeter, a trombonist, a cornet player, a pianist, a guy that cycled between clarinet and sax, and the bandleader, a cheery drummer named Shannon Powell — pulling pieces from a songbook of local hits, “numbers that were made very popular in this room,” etc. 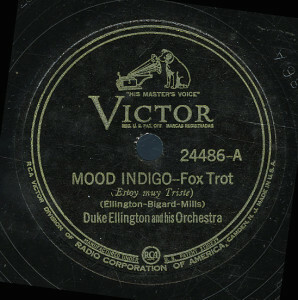 My favorite few moments, though, were spent listening to an instrumental rendition of “Mood Indigo,” a composition that jazz fans know for its much-admired place in bandleader and pianist Duke Ellington’s hefty catalog. “Mood Indigo” reportedly originates from a New Orleans musician named Barney Bigard (and his clarinet teacher). With no microphones in sight that night, there was something about the way this more-than eighty year-old piece of somber music resonated in the room, in this sort of singular raw and inclusive space. Perhaps it was in the hypnotic bend of the line from the trombone, its player manipulating how each note landed with a plunger cup. I won’t soon forget what we saw, and what we heard that night. Maybe I can attribute the impact of that performance of “Mood Indigo” to some personal stuff that happened to be hanging heavy on us at the onset of the week, or that even in the face of this marvelous musical distraction, we reeled — and continue to do so — at the not-yet 24 hours-old news of the Ferguson, Missouri ruling, where a white police officer avoided an indictment for shooting and killing an unarmed black teenage boy in August of this year. I shared on Twitter some things I feel are worth a look in the days following the Ferguson news, including this Huffington Post essay by Philadelphia reporter Will Bunch, who rightfully takes aim at the role of St. Louis County district attorney Robert McCulloch in the non-indictment, but also for the part McCulloch played in strategically issuing the news under the cover of night. “Is it possible that McCulloch wanted every front page in America to show riots, and not linger on the injustice system in St. Louis County?” asks Bunch. For Slate, Jamelle Bouie writes about “the judicial system as we’ve constructed it,” that it “just isn’t equipped or willing to hold officers accountable for shootings.” I watched The Atlantic‘s Ta-Nehisi Coates on Face the Nation, who asked why Brown was stopped in the street, as Wilson hadn’t yet been looking for a suspect in a robbery. Coates’s recent piece for The Atlantic on Obama’s remarks last week and white America’s history of violent protests and the benefits they’ve yielded is here. For Politico, Sarah Kendzior writes about a city that won’t heal. 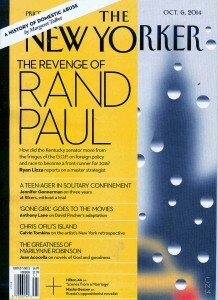 I hope to pull together some sort of roundup this year as I did last year of great longform journalism, and if I get to it, I would include Jennifer Gonnerman’s “Before the Law” article, which appeared in an October issue of the New Yorker — I’m admittedly late in getting to this. Gonnerman takes a long look at the case of Kalief Browder, a Bronx man who was jailed at Rikers Island after being arrested and charged for a robbery when he was 16 years old. Browder refused to plead guilty for a crime he said he didn’t commit, and spent nearly three years in jail — more than 800 days (!) in solitary confinement — and was sent home only because his case was finally dismissed. Gonnerman dives deep into the disastrous Bronx criminal court system, where there aren’t nearly enough staff to handle the workload, and where prosecutors are ill-equipped for the job, and judges “permit endless adjournments.” In 2010, her subject’s “case was one of five thousand six hundred and ninety-five felonies that the Bronx District Attorney’s office prosecuted.” It’s a truly harrowing story for what we learn about Browder’s incarceration, and for the almost hard-to-believe statistics that Gonnerman brings to light about Rikers Island’s Robert N. Davoren Center, a juvenile facility on the four hundred acre island where adolescent prisoners are ritually beaten by both guards and inmates. The New York Times reports on “a surge in assaults by officers” over the course of 2013, citing an internal study that “found 129 serious injuries caused by corrections staff” at Rikers.